India's largest automobile player, Tata Motors, is under siege. The next six months will decide the success of CEOGuenter Butschek's turnaround strategy. When 53-year-old Natarajan Chandrasekaran took charge as Tata Sons chairman in February this year, he perhaps knew the job wasn't a bed of roses. He also most likely knew that one of the big thorns was Tata Motors, a once dominant player struggling to arrest a debilitating slide. At his first annual general meeting (AGM) of Tata Motors in August, just six months after taking over, he got a taste of the disgruntlement among shareholders. For 2016/17, Tata Motor's India operations reported a net loss of `2,480 crore, after a loss of `62 crore in 2015/16. Lack of dividend in the last fiscal might have been one source of shareholder anger but more alarming was the sense of gloom. The atmosphere was toxic. Chandrasekaran faced questions ranging from whether the company was trying hard enough and should it still be making cars to the future of Nano and JLR Chief Executive Ralf Speth's salary. One shareholder said it was a "failed company." 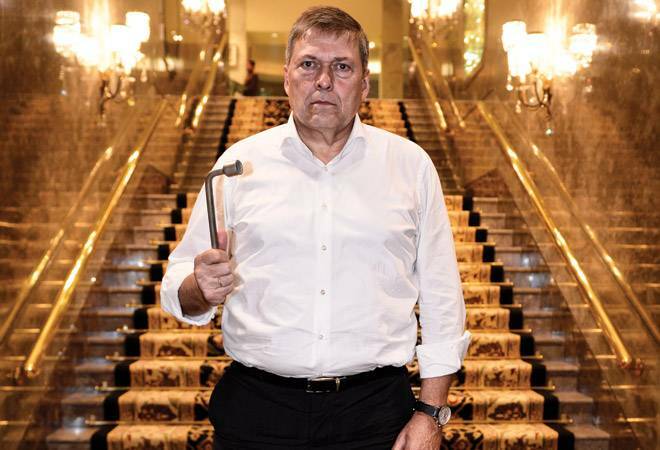 Chandrasekaran remained unfazed and flat-batted most volleys but the firm's German Chief Executive Guenter Butschek knew he would not be able to endure another AGM like that. The picture of the 57-year-old on Tata Motors' website has him formally dressed, but he is dressed casually on both occasions that we meet him. He admits he isn't a fan of necktie and tries to avoid it as much as possible. "It is a bit stifling, to be honest," he grins. Butschek isn't new to either the automotive industry (he spent 25 years at Daimler AG) or turnarounds. Before joining Tata Motors, he was involved in a massive restructuring at Airbus. But the man, who loves Japanese food and is particular about the oil when trying out Indian cuisine, admits this assignment could be his most challenging. The reasons are clear. In the last decade, Tata Motors' presence in the passenger vehicle (PV) segment, one of the fastest-growing in the world, has suffered a dramatic erosion. The failure of Nano, which sought to revolutionise the industry, shows all that is wrong with its cars - faultless ideas marred by poor execution. But the more fundamental problems are in the truck and bus division where Tata Motors has always been a leader. The commercial vehicle (CV) division doesn't grab as many headlines as the car and SUV business, but is the backbone of the company's India operations. It accounts for 80 per cent of the company's standalone revenues. Tata is still the leader here, but is fast losing market share, which slid from 60 per cent in 2011/12 to 43 per cent in 2016/17. Squeezed at both ends - profits at the CV business have declined, while losses in the PV business have gone up - revenues and profitability have suffered. In 2016/17, its revenue was `44,364 crore in its India business. It is crunch time and Butschek admitted as much in a letter to employees in July where he called for a turnaround and not just transformation. But can a company known for its slow ways rise up to the challenge? While it addresses its pressing concerns in the short term, it is also working on a future where combustion engines may become extinct. Earlier this year, it surprised many by bagging the EESL tender for 10,000 electric vehicles, beating Mahindra & Mahindra, which has more experience of making electric cars. Tata's bid price of `10.16 lakh for the Tigor electric was significantly lower than Mahindra's bid for e-Verito. The 6,000 units at the least that the company will supply to EESL is expected to help Tata Motors gain prowess in an area that will define the future of mobility in the country. It has already rolled out the first set of Tata Tigor EVs (electric vehicles). The crisis that Tata Motors finds itself in CVs today has been in the making for a long time. Only a decade ago, in 2006/07, it commanded a market share of 64 per cent. With the sub-one-tonne pick-up truck, Ace, it had pulled a rabbit out of the hat and left the competitor, Ashok Leyland, way behind. Yet, this sowed the seed for future trouble, as complacency set in. By the time the downturn in the heavy CV segment started in 2012 - industry sales declined for three straight fiscals between 2012/13 and 2014/15 - Tata Motors had become too rigid for its own good. "One big question when I joined was how as a market leader Tata Motors kept missing so many signals that led to white spots in the portfolio for our competitors to exploit. I could not find an answer to this," says Butschek. "Complacency in attitude is the answer nothing else. It led to a serious disconnect with the market, dealers and even customers." As the company struggled with low demand and excess capacity (in 2013, it was using only 42 per cent of its heavy truck and bus capacity), innovation took a backseat. Competitors smelt blood. Global players such as Bharat Benz, the Indian subsidiary of Mercedes Benz Trucks, Scania and Volvo entered the market, while rivals Ashok Leyland, Mahindra & Mahindra, and Eicher Motors became aggressive. In the last two financial years, Ashok Leyland, for example, has increased the number of touch points from 1,629 to 2,678. Tata has gone up from 3,365 to just 3,488. While Tata's market share in trucks fell from 59.5 per cent in 2010/11 to 49.2 per cent in 2016/17, Ashok Leyland's rose from 25.7 per cent to 33.8 per cent. In the bus segment, Ashok Leyland is now ahead of Tata Motors. In light CVs, where Tata was once untouchable thanks to Ace, Mahindra & Mahindra has an upper hand. The disconnect with the market was such that Tata Motors did not anticipate the emergence of some new sub-segments in the industry. "In the last six years, the leader has lost market share in every sub-segment of the CV industry," Chirag Shah, auto analyst at Edelweiss Securities, says in a report. "In a few segments (7.5-12 tonnes, 26-35 tonnes and LCV buses), new leaders have emerged." Ashok Leyland has been able to gain market in heavy trucks and buses with its higher tonnage U and Captain range of trucks. In fact, it has been able to exploit the growing demand for 37-tonne trucks better than Tata Motors. At the same time, it has also strengthened its portfolio in the other categories with Guru ICV and Partner LCV. Similarly, M&M has stolen a march over Tata Motors in light CVs with its Jeeto range of small trucks and Bolero pick-up. Analysts also point at increased focus on PVs in 2013/14 that proved to be a distraction and took its toll on the CV business. Butschek admits there were no separate PV and CV strategies till last year. "We have been a full range player for long. Our competitors have also been part of this but over the last few years they have been increasing their spread. They have given it more thought, finding gaps in our portfolio and creating a pull for their products," says Girish Wagh, the man behind Nano, who now heads the company's CV division. "We have divided our business into four product lines, each headed by a senior executive, and a dedicated product planning and marketing and sales team. This will help us get faster feedback and anticipate the emergence of new segments," he says. While the company is trying to turn the clock back in CVs, in its PV portfolio, it is trying to shed its past baggage. Though Tata Motors entered cars a bit late in the day, it quickly gained reputation as a maker of fleet cars. While that may not be a bad thing elsewhere - the world's top-selling car, Toyota Corolla, is predominantly used as a taxi in many markets - in India, this meant brand dilution. "The challenge is on the brand equity side. Their older products had a negative connotation, so a phaseout was needed," says Jinesh Gandhi, Senior Vice President, Motilal Oswal Securities. "It has also got to do with wavering focus. Till 2012, they were not much focused on PVs, then their focus shifted to making this division more relevant." There are also other problems with the company's cars. Tata vehicles are often perceived as low quality and prone to breakdowns. The company could not do much to win this perception battle. The PV business also suffered significantly between 2009 and 2014 for lack of new launches. All that the company did during this period was to tweak its existing portfolio. This cost it at a time when new cars were being launched every fortnight. From 17 per cent market share in PVs in 2004/05, when it was battling with Hyundai for the number 2 slot, it slid out of the top five in 2015/16; its market share nosedived to less than 6 per cent. The company has also been at fault for not phasing out some of its long-in-the-tooth products. Its first car, Indica, as also Indigo, the sedan based on it, and its first SUV - Safari Storme, continue to be in the market in spite of diminishing returns. Similarly, the company has not been able to take a final call on Nano, whose sales have fallen to negligible levels. Worse, the world's cheapest car continues to be a sensitive topic. Considered close to the heart of Tata Son's Chairman Emeritus Ratan Tata, its failure and losses were a bone of contention in the feud between Tata Sons and its former chairman Cyrus Mistry. Mistry claimed a decision to stop production was taken during his tenure but never implemented. Chandrasekaran steered clear of the topic at the AGM. "We just can't switch off one product and switch on another," he said. "We need to take a holistic view." Should Tata Stop Making Cars? On August 12, 2014, as Tata Motors got ready to launch its mid-size sedan, Zest, a clutch of analysts called on the company to stop making cars. The PV business contributes just 3 per cent to consolidated revenues but gets a disproportionate mindspace. Shareholders seem to be running out of patience. "The problem between a shareholder and a businessman is the difference in the time horizon in which they would like to build a business. In the last 10-12 years, we have not seen any material change in this business, so as a businessman you will have to take a call on how much more time you want to give it," says Gandhi of Motilal Oswal. "If I were in their (shareholders) shoes and do not see any material change in the next two-three years, when their last bit of product life cycle plays out, I will definitely want them to take a final call on this business." However, some green shoots are visible in this category. The company has launched four products in the past year-and-a-half, the latest being its maiden compact SUV Nexon. Some of these, like its compact hatchback Tiago, have been received well by the market. The other two, Tigor and Hexa, are showing promise. "Thank god investors and analysts don't run the company. In India, we are one of the youngest PV companies, just 18-19 years old. The market leader started in 1983, when there was no competition," says Mayank Pareek, President, Passenger Vehicle Business Unit, Tata Motors. "We have 18 peers and we are 4-5th in the pecking order. As per the learned analysts and investors, except the top two-three, everybody else should close down." 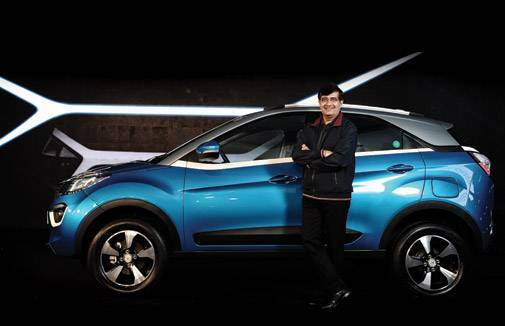 Pareek, a former marketing head at Maruti Suzuki, says Tata Motors is changing. He talks about an industry reference point, net promoter score (NPS), which shows how many consumers recommend a brand's products to others versus those who do not. Two years ago, Tata Motors had a score of minus 9, which meant more consumers recommended others to not buy its cars. Last quarter, it was 13, behind only Maruti Suzuki and Hyundai. "Game-changing is a continuous process and we are changing even as I speak," says Pareek. "Even now our products cover only 59 per cent of the market. With Nexon, it will go up to 71 per cent. We still have 29 per cent to play for." "With our capabilities, it is not unreasonable for us to want to straddle both PV and CV categories," says Chandrasekaran Ramakrishnan, former group CFO, Tata Motors. "It is a bit strange that we are asked this question when 20 companies from around the world want to sell their cars here. This is a growing market. Also, we started well. There was a time our PVs made more money than our CVs." After Butschek presented a business plan to the board last year, things did not go as expected. The shocks that the economy faced over the last 12 months, first with demonetisation in November 2016, then the implementation of the goods and services tax in July this year, did not spare the company. To make matters worse, the Supreme Court judgment, disallowing sale of BS III vehicles beyond March 31, meant Tata Motors had to take another unforeseen hit on its bottom line. "We presented a plan based on the fact that we had seen three years of recession and then a good recovery in 2015/16, and there were all the signs that this would continue. But the environment changed. There was some tailwind initially, but after the festive season it was a mix of cyclone and hurricane." Butschek had to re-draw the plan this year to effect a turnaround of the Indian business within a very stringent timeline, the end of the financial year. The targets are specific. He wants Wagh and his team in the CV business to increase market share by five percentage points. This, he says, will give him additional revenues of `1,500 crore. The company has initiated a blitzkrieg by launching the high tonnage 37T, 49T and XL series of trucks. "We have strengthened execution, whether for daily production, sales, cost reduction or new products, by creating war rooms. There is a strong review governance. We have also built an alarm-escalation system," says Wagh. Experts say it's easier said than done as competitors aren't sitting idle either. The company's operating margin of 2.8 per cent in 2016/17 was much lower than Ashok Leyland's 11 per cent, and Volvo Eicher's 7.9 per cent. Its cash flows were negative due to increased R&D spend. "There will be headwinds for Tata Motors due to its humongous `4,000-crore capex. The `1,500-crore spend in CVs is aimed at refurbishing the portfolio, but it appears a little too late," says Shah of Edelweiss. "Competition has created its space, which will make it difficult for Tata to regain lost ground." Butschek is hoping the new launches will get enough traction for the company to join the list of top three PV makers. To make the division leaner, the company has reduced the number of car platforms from six to two. "We will revisit our product plans on a rolling basis every five years. So, we have our plan till 2022, by when we will be covering 95 per cent market," Pareek says. "It includes products in segments that do not exist today." A range of cost-cutting measures have also been taken which, along with higher revenue, should bring the company into the black, Butschek believes. But there are some riders. "I have made a few assumptions about growth in the industry. If that does not happen, this plan will be affected," he says. For now, the signs are encouraging, if not flattering. In the first seven months of this fiscal, the company's PV sales have grown at a higher than the industry rate of 9.23 per cent. Tiago is a volume generator while others, Tigor, Hexa and Nexon, have struck the right notes. In CVs too, the company has been able to arrest the decline in market share and is steady at 50 per cent. Though the company is still in the red, losses have begun to shrink - `467 crore in Q1 to `295 crore in Q2 2017/18. More needs to be done, but a start has been made. "If I miss my target because of adverse market but achieve my market share and cost reduction targets, it should be okay for me and the board," says Butschek. "But if I miss my target due to lack of execution I would have a problem with myself, and the board would have a problem with me. But it is not on my agenda." At stake is a lot more than just Butschek's job. "India is tough to penetrate"